Preheat oven to 350°. Place eggs and bread crumbs in separate shallow bowls. Dip eggplant in eggs, then coat in crumbs. Place on baking sheets coated with cooking spray. Bake 15-20 minutes or until tender and golden brown, turning once. Spread 1/2 cup sauce into a 13x9-in. baking dish coated with cooking spray. 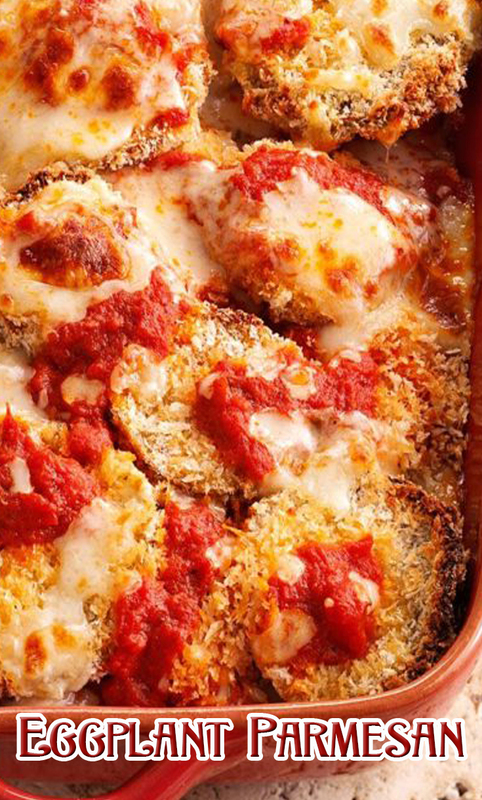 Layer with a third of the mushroom mixture, a third of the eggplant, 3/4 cup sauce and a third of the cheese mixture. Repeat layers twice. Bake, uncovered, at 350° for 25-30 minutes or until heated through and cheese is melted.